Some people might not consider a pencil sharpener an art supply. But we’re using my definition of an art supply and if it in any way helps you with art it is now an art supply. 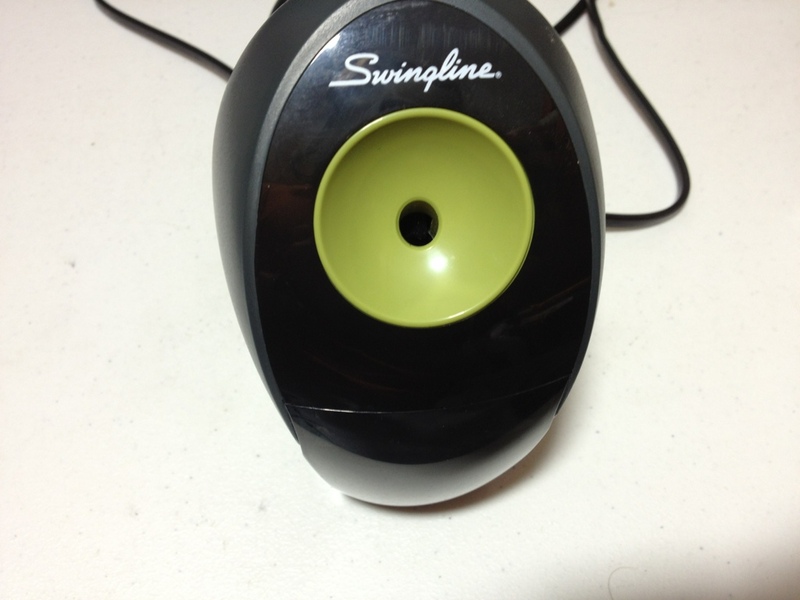 Okay, maybe not exactly, but let’s just get into this Swingline Personal Pencil Sharpener. 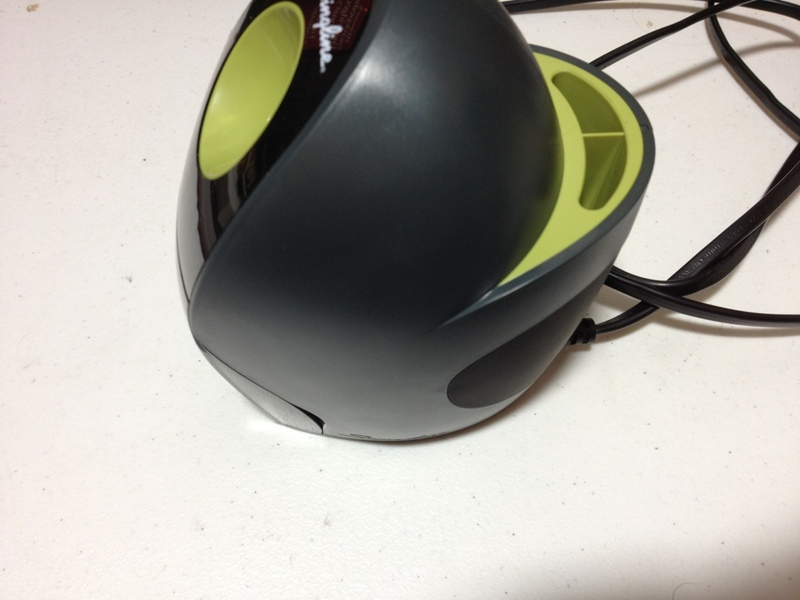 The sharpener itself is a chunky bubble of plastic with unappealing curves. It’s designed to be different rather than practical. It’s got a dust- and scratch-attracting polish on the front and a pleasing matte finish on the back. Also in the back are several fairly useless pencil holders. Back on the front is a dent that guides your pencil into the sharpener, or more likely just breaks your lead as you try. There is also a clear plastic shaving container that can be easily removed from the front. The entire assembly is heavy and barely moves when one is sharpening. It feels solid and almost unbreakable. And with some nice rubber feet on the bottom it stays where you put it. The sharpening itself is alright. There is no swaying or destroying of the pencil. It sharpens fast and without any clogging problems. The point, however, is not as fine as it could be. It gets the job done and definitely counts as a sharpened pencil, but I generally prefer the finest of pencil tips for my work. These are simply sufficient for me. Overall it’s a pencil sharpener, what do you expect nowadays? The build quality is nice if misguided, and the sharpening is good but lackluster. It’s sadly one of the better sharpeners on the market, beating the X-ACTO sharpeners you see in schools and offices. It doesn’t come close to a good Boston sharpener though and if you really want to get some sharpening done that’s what I’d recommend. This is only for people who just want a decent sharpener.